Today I will be sharing with you some tactics on how you can leverage off your subconscious mind to get things done better. The key to making your subconscious mind work for you is in your attitude. Having a positive self-esteem and confidence in yourself can go a long way towards achieving the goals that you have set out for your mind. While many people believe that confidence and esteem comes with your personality, which is determined at birth, it is not true. It is never too late to start cultivating and improving your inner image and resources, primarily that of your subconscious mind. However, it is possible to reach the subconscious mind and make it work for you. Many methods are available for doing so, such as through hypnosis, subliminal programming and positive affirmations. The most common and easy to master technique of reaching the subconscious is through positive affirmations. Whether for losing weight or increasing self confidence, positive affirmations can be applied to any aspect of your life. By inculcating a positive self esteem and confidence in your subconscious, you will be able to affect the conscious mind as well. By accessing your subconscious mind, you are strengthening the linkage between the conscious and the subconscious, allowing you to achieve many things. These include getting rid of negative thoughts, unhealthy habits, and boosting your self confidence and other abilities. Identify the reason that motivates you to work hard and excel in life. Without knowing what makes you tick, you will be unable to recover the same level of drive when faced with setbacks or discouraged. 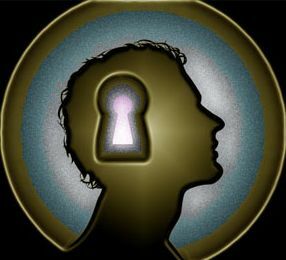 Being able to unlock your subconscious mind depends on knowing what you want, before you can achieve it. When you are able to identify what drives you, you will be better equipped to draw our your possible options and make the relevant decisions that will help you achieve your goals. Without a strategy, you will be unable to chart a clear path and risk going off track. Once you have decided on a course of action, immerse yourself in it. With passion and a strong focus, you will be able to realize your goals, fueled by perseverance. With these 3 steps, you will be well on your way towards unlocking the power of the subconscious mind and making it work for you. Copyright © 2010 Conscious Mind and Subconscious Mind Power | 40 Day Master System All Rights Reserved.